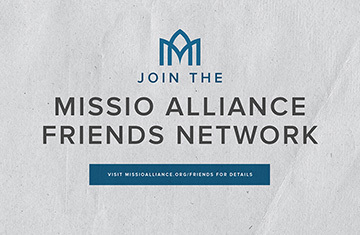 As a part of Missio Alliance’s commitment to Women, we’ve published a series called Band of Brothers. It includes reflections on a women’s role in Church Leadership as well as a case study of a male-driven church planting movement in Boston. You can read all the articles in this series here and an introduction to the series by Carolyn Custis James here. Over the course of my life – as I moved from a complementarian upbringing to a egalitarian mindset; as I transitioned careers from secular to ministerial; as I became a mother raising a daughter – I have amassed a number of verses and scriptures that I believe back up my convictions with respect to women in ministry. But here’s something I was reminded of recently: Just about every Christian has such a list for every issue they are convicted about. In my tradition, we run the risk of making Scripture an idol and thus we furiously seek to tie up our beliefs with a nice little biblical bow. The problem is, we’re often reverse-engineering the process, and – albeit unconsciously – making Scripture say what we want it to say. Few disagreements that I know of are won simply by citing Scripture and throwing verses in peoples’ faces. Think of the parable of the Good Samaritan. Jesus often spoke in parables – stories – to illustrate his point. In this instance, Jesus is asking the audience to think not only of their role in helping someone mired in misfortune, but also of their attitude toward a group of people (Samaritans) that were often persecuted and hated by Jews. Sure, Jesus could have given a directive: “Serve the less fortunate! Think twice before you pass judgment!” or he could have cited a passage or two from the Old Testament on the subject. Indeed, he does do both of these things throughout the Gospels, but here, as in most of other places, Jesus tells a story. Story has power to get us to walk a mile in someone else’s shoes. It opens up new space for encounter and fresh imagination, which are more often the seedbed of conversion on important issues of thought and life. We wield the power of story when we invite someone to walk with us as we experience transformation throughout our life’s journey. This is perhaps even more powerful than a parable because it is not a hypothetical; it is our very real experience and reality. When I think about changes in belief that I’ve seen or experienced, they typically hinge on story. Not surprisingly, seminary was likely one of the most transformative experiences of my life so far. But the changes I experienced – in my belief, theology, and practice – were largely a result of the relationships I formed, the people I lived with in community, the experiences I had as I got up close and personal with those who were different from me. In spite of being a life-long theology nerd, I remember on my first day of seminary feeling like I had been thrown into the deep end without a life jacket, paddle, or even the ability to swim! My initial reaction was to hang on – to my beliefs, my tradition, my status quo – for dear life! As the currents calmed down and I was able to surface, however, my faith and practice were slowly transformed through a variety of means and by a number of people. Yes, I accumulated a lot of knowledge in seminary. Yes, I still like to be challenged by reading new things and discussing new ideas. But my beliefs have not been developed in a sterile vacuum of intellectualism. My positions have evolved through relationships and personal encounters. It depresses me to think that, as egalitarians, we could bring out passage after passage of Scripture in support of our position, and never change a single mind. I’m an educator; I’m passionate about theology and teaching people to better develop and understand their own beliefs. I’m not suggesting we abandon a reasoned, educated approach to supporting and explaining what we believe, using Scripture as our foundation and guide. What I am suggesting is that we don’t get lost in this process, and certainly that we don’t engage in these activities to the exclusion of building relationships. I am a chaplain in the Air Force Reserves. Earlier this year I attended our Chaplain School, where I was the only female in a class of 21 other Air Force chaplains. As is true of the chaplaincy in particular and the military in general, the opinions and beliefs of my classmates were wide-ranging. Some were skeptical of women in ministerial leadership; some were on board; some came from faith traditions that didn’t approve but they personally had no problem; some probably didn’t really care either way. Throughout our six weeks together we got to know each other in and out of uniform. We had some discussion of gender, but not much. I spoke out often to provide my perspective, and I tried to listen and truly understand when confronted with a belief I perceived to be less than fully egalitarian. These men were chaplains. They didn’t need me rattling off a list of scriptures, though there is no doubt a time and place for that. What they did need – and what most of my classmates told me they were grateful for – was an opportunity to see someone living out their calling in a way they may not have previously encountered. I don’t know if I changed the minds of those who were skeptical of female church leaders, but I know we challenged each other to think outside our pre-conceived notions and stereotypes. I trust that I planted a seed that will continue to cause growth and examination over the years to come. Propping up our egalitarian opinions with Scripture, but neglecting to do the work of understanding each other’s stories is an unbalanced – if not dangerous – proposition. We need to speak truth into oppression, yes, but without some basis of love and relationship, those words all too often fall on deaf ears and fail to embody the way of Jesus when it comes to walking with others into deeper and fuller understanding of the things of God (including our own!). On October 29, Missio Alliance is convening #SheLeads, a Summit of Women and Men seeking to reclaim the Blessed Alliance. Learn more HERE. God is Not Neutral: Are We on the Right Side?